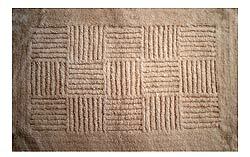 Style, comfort and long life are the hallmarks of our range of casual bathmats. 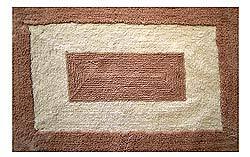 We manufacture and export supreme quality casual bathmats that compliment the decor with their vivacious designing. Description:Decorative bathmats are designed with artistic instinct in stylish look. They add a touch of beauty and sophistication to the decor of bathroom. Description:Printed bathmats portray the fascinating patterns of flowers. To bring a feel of freshness and delight these bathmats are perfect buying choice. 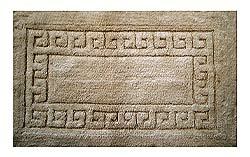 Description:Decorative bath mats are beautified with the elegant meander designs. Made from quality material, these bath mats are sure to last for a long time. 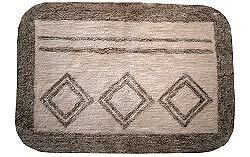 Description:Handmade bathmats are crafted by the nimble hands of our expert artisans. They are made more appealing by using rhombus patterns. 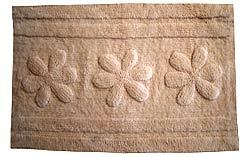 Description:Embroidered bath mats exhibit the skillful and charming needle work, which beautify these bath mats in an exclusive and splendid manner. 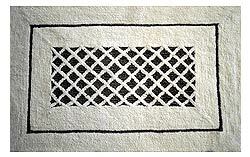 Description:Embroidered bathmats are resistant to slip and easy to clean. They exude a mesmerizing beauty in the ambiance of bathroom. 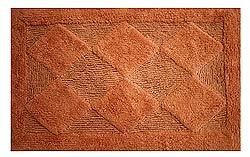 Description:Casual bathmats in rectangular shape are embellished with enchanting rhombus patterns. 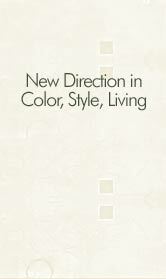 Use of light and dark shades of brown lends them unique look. Description:Casual bath mats catch the attention of everyone with their striking lattice patterns and eye pleasing color. 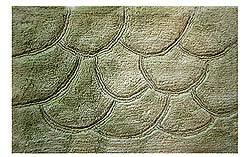 Description:Precisely crafted to excellence, shower bath mats are colored in soothing green shade. 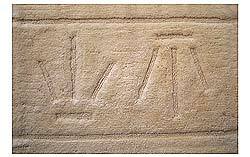 Miscellaneous arc designs are incorporated to enhance their feature.